Tara Fela-Durotoye is a Nigerian-born lawyer turned Africa's leading beauty and makeup entrepreneur. She started House of Tara at the age of 20, from her living room, whilst an undergraduate at university back in 1998. She's since gone on to launch Nigeria's first ever bridal directory in 1999, and in 2004 she opened the country's leading beauty academy. Today, Tara has over 3,000 reps spread across Nigeria and 14 stores to her name and she is steadfastly dedicated to realising her vision of building a globally respected beauty company of African origin. Tara remains an inspirational role-model and mentor to make-up artists and aspiring beauty business owners across Africa. Tara Fela-Durotoye is a Nigerian makeup artist and lawyer. A pioneer in the bridal makeup profession in Nigeria, she launched the first bridal directory in 1999, followed by the establishment of an international standard makeup studio, and the launch of the first makeup school in Nigeria. Over the past 16 years, Tara has been steadfastly dedicated to realising her vision of building a globally respected beauty company of African origin. “Before the end of the year (2014), we are going to be opening our 30th studio, which means we are going to have another 16 studio across Nigeria. Someone may say its a quick expansion plan. It has taken us 16 years to build 16 branches, by now we should have mastered what it takes for us to build a branch and if we work on that and focus for the next ten months, we will see the rapid expansion." Leading African beauty industry entrepreneur, Tara Fela-Durotoye, together with other leading Nigerian entrepreneurs are raising their voices to stand against counterfeiting, intellectual property theft and piracy in Nigeria. Their powerful new campaign 'United We Stand' aimed at tackling piracy, counterfeiting and intellectual property theft head-on launched on 24th February 2017. The campaign is a call to action against injustice which also implores the Nigerian public to take extra steps to preserve hard work and to ensure consumer safety by buying genuine products and shunning counterfeit products. House of Tara International in partnership with First City Monument Bank has launched a new women economic empowerment initiative in Nigeria known as the ‘Beauty Business on the Go’ (BBOG). The initiative is aimed at empowering women to become entrepreneurs, setting them on a path to realise their aspirations and dreams. With this wonderful new initiative Tara aims to recruit and empower 5,000 women to become beauty representatives. Tara Fela-Durotoye is founder and CEO of House of Tara International, a household name in her native Lagos, her company develops makeup, perfume and accessories all created specifically to meet the needs of Africa's beauty market. Learn more about this inspiring woman entrepreneur who is rapidly developing her pan-African cosmetics and beauty training brand in this fascinating interview. House of Tara International, a Nigerian beauty and cosmetics brand founded by Tara Fela-Durotoye launched its products in the Kenyan market as part of its continental expansion strategy. House of Tara has developed makeup products with international standards that are tailor made for the African woman by an African woman. 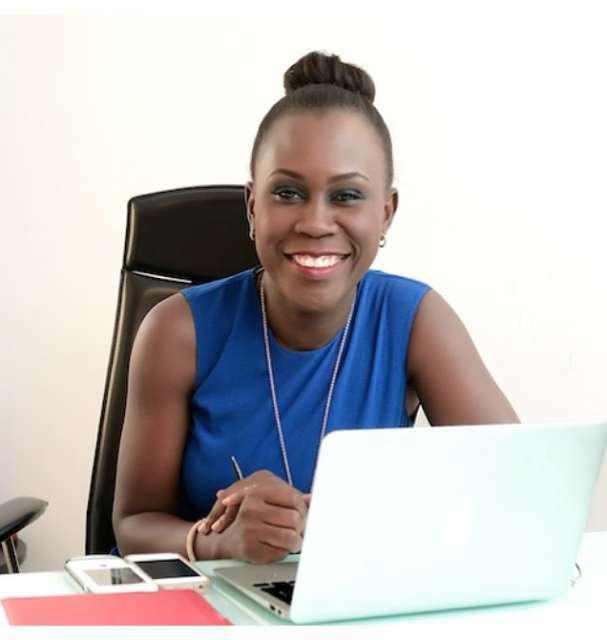 The Chief Executive Officer of House of Tara International, Tara Fela-Durotoye, has begun taking the message of Nigeria's massive business opportunities across the globe - making premium appearances on several global platforms including the New York Forum Africa (NYFA), France24 and Africa 24 by Reuters. Tara Fela-Durotoye is Africa's leading make-up and beauty industry entrepreneur and the Creative Director of House of Tara. With many branches in major cities across Nigeria and West-Africa, this pioneer female entrepreneur talks about her remarkable journey. The Chief Executive Officer (CEO) and Creative Director of Nigeria’s most popular and versatile make-up artistes, body adornment and beauty products experts, House of Tara International, Mrs. Tara Fela-Durotoye, has reiterated the need for creativity among youths and school children as a means of transforming Nigeria's economy and creating jobs. She gave this charge on Tuesday, 22nd April, 2014, during the formal opening ceremony of the 2014 National Creativity Week organised recently in Abuja. Forbes announced its annual '20 Young Power African Women' list illuminates the brightest stars and Africa’s most outstanding female game changers. We enlisted a group of young, professional African women to help identify the most innovative, courageous, daring and successful young women aged 45 and under. It is a subjective list, no doubt, but it’s the closest you will get to a definitive list. "Getting into the beauty industry was a decision to take what I had and what I was passionate about as a platform to build an enterprise. I am passionate about building a business that is sustainable and using beauty as its expression .... The focus was on doing what I loved, which is, making women beautiful." - Tara Fela-Durotoye is a Nigerian-born lawyer turned Africa's leading beauty and makeup entrepreneur. She started House of Tara at the age of 20 from her living room whilst an undergraduate at university back in 1998. She's since gone on to launch Nigeria's first ever bridal directory in 1999, and in 2004 she opened the country's leading beauty academy. Today House of Tara has 19 studios in 11 states starting a chain reaction that has produced over 3,500 makeup artists. It has also empowered over 4000 young women in tertiary institutions with the Tara Orekelewa beauty representatives' initiative that makes them financially independent, improves their self esteem while building their marketing and entrepreneurial skills. ".... you need to attract people that will add value at a sustained level. In terms of people again, not everyone is going to be with you from start to finish. As the business grows, seasons will come where some people don’t fit for the new season. It is not an easy exercise but it must happen." - Tara Fela-Durotoye is a Nigerian-born lawyer turned Africa's leading beauty and makeup entrepreneur. She started House of Tara at the age of 20, from her living room, whilst an undergraduate at university back in 1998. She's since gone on to launch Nigeria's first ever bridal directory in 1999, and in 2004 she opened the country's leading beauty academy. Today, Tara has over 5,000 representatives spread across Nigeria and 14 makeup schools to her name and she is steadfastly dedicated to realising her vision of building a globally respected beauty company of African origin. Tara remains an inspirational role-model and mentor to make-up artists and aspiring beauty business owners across Africa. "For House of Tara, our drive has never been to be number one out of a thousand, we never aspired to be better than anyone else, we have always aspired to be us and stay true to who we are. I believe that as long as we are tied to our overall purpose, it will determine how successful we have become and how successful we are." "Find yourself, your purpose in life. Don’t just get a job, do something that is tied to a purpose. Even if you get a job, let it be tied to a purpose .... I am learning every day that this is not just about making money or turning a profit. There are people who need my call and my assignment and I need desperately to answer to their voices." - Tara Fela-Durotoye is a Nigerian-born lawyer turned Africa's leading beauty and makeup entrepreneur. She started House of Tara at the age of 20, from her living room, whilst an undergraduate at university back in 1998. She's since gone on to launch Nigeria's first ever bridal directory in 1999, and in 2004 she opened the country's leading beauty academy. Today, Tara has over 3,000 reps spread across Nigeria and 14 stores to her name and she is steadfastly dedicated to realising her vision of building a globally respected beauty company of African origin. Tara remains an inspirational role-model and mentor to make-up artists and aspiring beauty business owners across Africa. ".... As an undergraduate, while I was still in school I started a business. I started with just fifteen thousand Naira. It is less than the cost of a Blackberry phone. Today, House of Tara has over 3,000 Sales Representatives across Nigeria. House of Tara has offices in 25 States in this country. In Abuja alone, we have two branches. We are in Kaduna, Kano, Ilorin, Port Harcourt, Abuja, etc. My company is big." "Stay true to yourself, stay true to what you are trying to achieve, otherwise you get distracted. Side comments, how people think you should do things, and I think that everyone wants to hear their own voice so you need to stay true to yourself. Before you come out of your house you have to decide, yes this is what I want to do. You still need counsel but you should be able to apply counsel to your own decision to be able to take insightful steps." "For us at House of Tara .... Creating a business that impacts and generates income, developing micro entrepreneurs who will grow their business and employ more people so as to make the Nigerian economy better is what's most important." Tara Fela-Durotoye is a Nigerian lawyer and beauty entrepreneur. She founded House of Tara International, Nigeria’s leading beauty and cosmetics company, and was named one of Forbe's '20 Young Power African Women'. Here she talks about her company and journey as an entrepreneur. Tara Fela-Durotoye talks about her entrepreneurial journey as founder of House of Tara, the opportunities for her business going forward, and her views on entrepreneurship in Africa. "If you start to see more successful businesses that are playing on a global level, the story of Africa will begin to change"
"What drives me is living purpose. I think my business is a vehicle to change lives." "Mentorship is important and you can’t go wrong if you are counselled rightly from someone who is indeed worthy to be called a mentor." "There are certain things telling you that you cannot make it; that you will not make it; that Nigeria is not a place where people make it. I beg to differ." "When you teach a woman how to apply her make-up, you also help repair her self-esteem or re-assure her of her beauty and relevance."